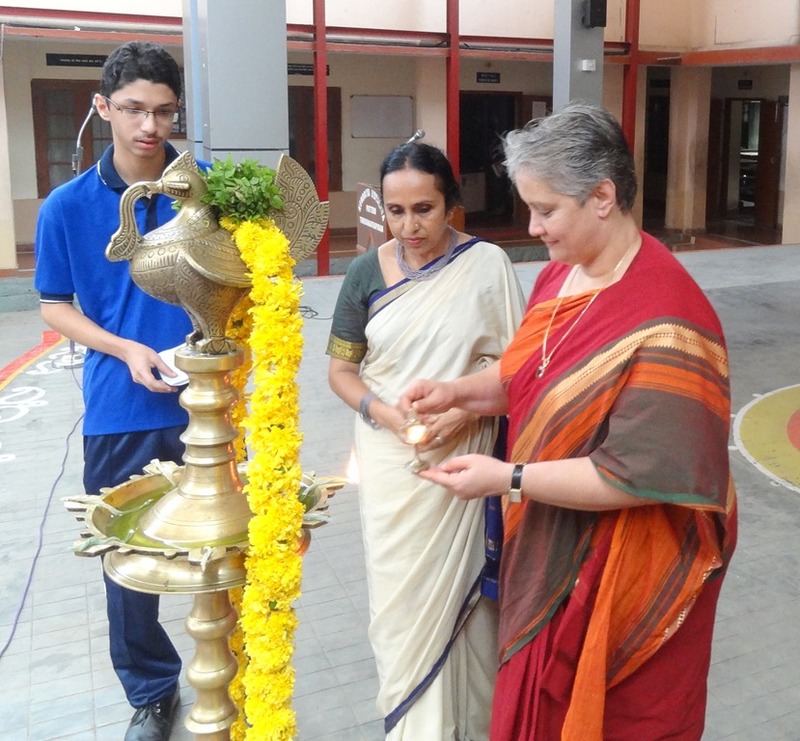 Ms Shoba Koshy, Chief Postmaster General, Kerala, inaugurates the Integrity Club on 1 May 2013. 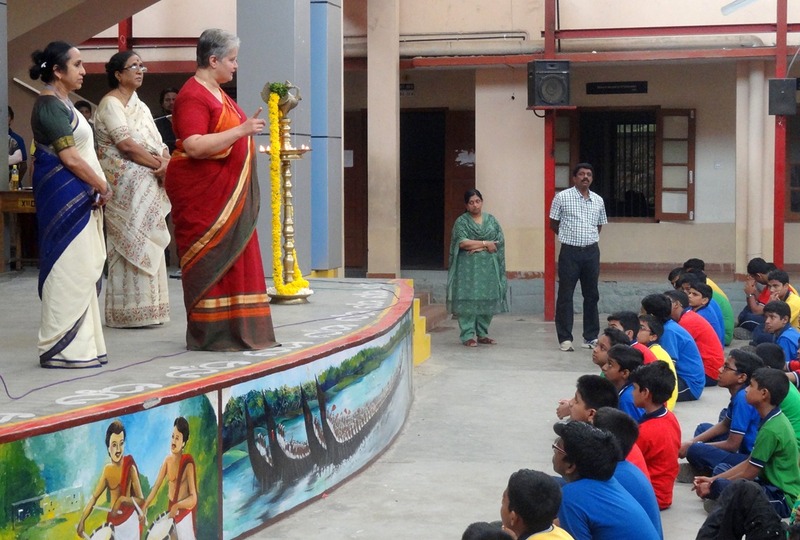 Ms. S. Neerada, Principal is also seen. 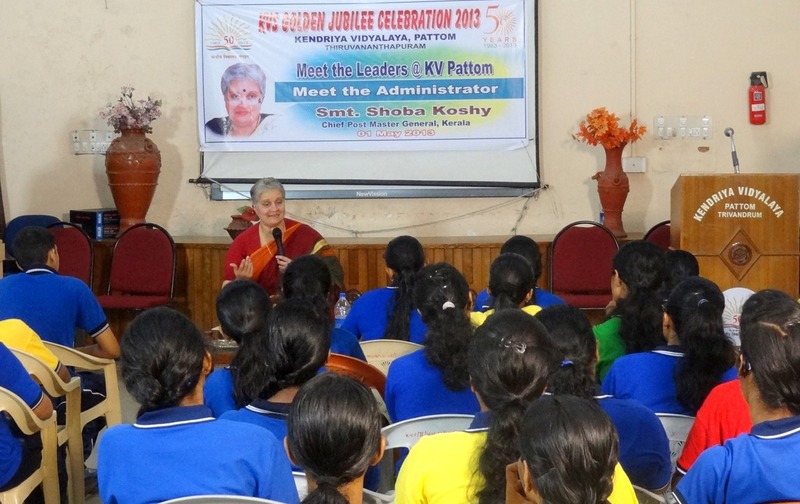 Ms Shoba Koshy addressing students in the assembly. 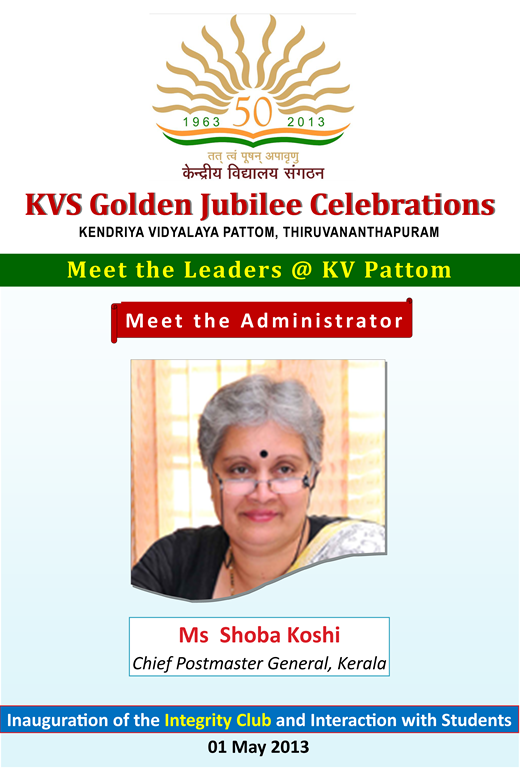 Ms Shoba Koshy interacts with students at the ‘Meet the Administrator’ programme.